The simplest way to put it is this book broke my heart in two. It’s up there with All the Bright Places – it is absolutely soul crushing. It’s this old Japanese art form where they mend broken pottery with seams of gold. I have no idea where to start with this book. I think I have a love/hate relationship right now, although I’m sure that will change as the whole thing seeps in. I just have to say this book completely enveloped me. My head was full of thoughts and sadness and heartbreak for the duration of this book – especially the second half. So let’s try and think about this logically. What about the characters? Well, I liked them. 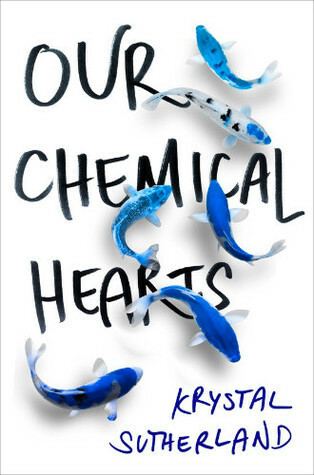 They gave a relatable and real aspect to the story, one that I could find an easy emotional connection to (trust me, the tears flowed!). I can see a lot of people not liking them because of the amount of stuff they simply screw up, but to be honest that’s life. And it’s good that this isn’t a fairy-tale, because neither is life. Like, they glue all the shattered pieces back together, and when it’s done it’s covered in these webs of gold veins. They do it because they believe that some things are more beautiful when they’ve been broken. Overall, I still don’t know what the heck to say. I still don’t know how to describe such emotion. Which is ironic, considering this book is full of emotion written in words. But it does also explain how hard it is to write. How hard it is to say how we feel. This book is pure, real and honest. It’s not happy, not even close. But it’s still one of the best books I’ve ever read…simply because it made me feel something.